This year’s South Region features 26 clubs stretching from Louisiana to North Carolina and from Tennessee down to Florida. This region has grown by eight clubs for 2018 and has added the new Gulf Conference. The Carolinas Conference consists of eight clubs from North and South Carolina and will feature a 10-match schedule. Charleston Fleet FC was the class of the region last season winning 10 of 11 matches and conceding only five goals. It remains the team to beat. Carolina Rapids have continued to grow recently merging with nearby Gaston United. This appears to have made an already strong organization even stronger. Oak City United has had two solid seasons under its belt and are looking to take the fight to the top clubs. Beaufort County FC struggled for consistency during 2017 yet ended with only two road losses. A bit of defensive stability will go a long way for it. LNSC Eclipse had a tough 2017 campaign losing all nine of its league matches. It will look to bounce back this season. Carolina Lady Dynamo improved in 2017, doubling its points haul from 2016. It appears set for another good season. Joining these six clubs are Asheville City SC from Asheville, North Carolina, and Discoveries FC from Rock Hill, South Carolina. 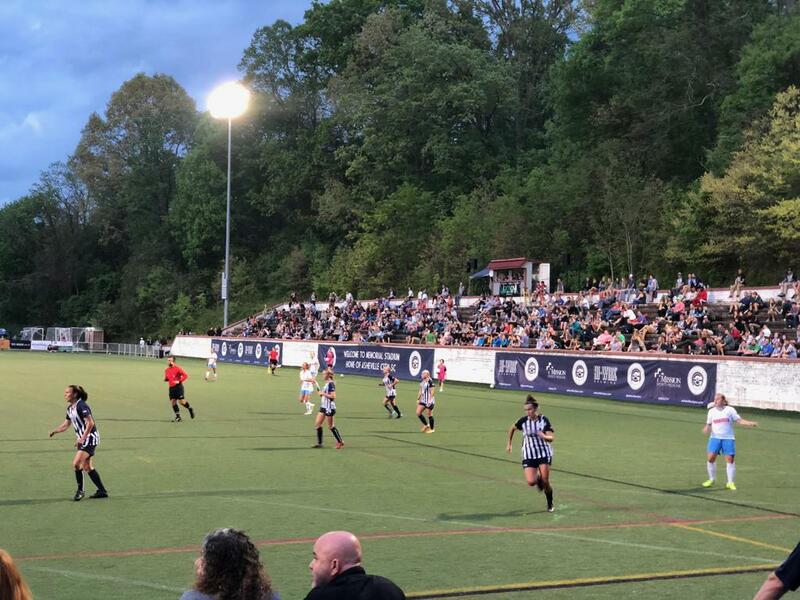 Asheville City finished its preseason with two wins against Chattanooga FC and Emerald Force. The Sunshine Conference comprises eight clubs in 2018. The clubs are all located in Florida. Each will play a seven-game schedule. Tampa Bay United was unstoppable last season, winning all nine matches and conceding a total of three goals. It is an early favorite to win the conference again. FC Surge had its best season in years, winning six matches and finishing second in the conference. Team Boca Blast finally shook its seven-point run of finishes thanks to a four-match win streak to start the 2017 season. It did have a few shaky moments to end the season that it will want to address for 2018. Florida Sol FC finally gained momentum in its final four games, winning all four by a 12-2 margin. If it can continue that run of form, it will be dangerous. Florida Krush had an unusual season featuring a blowout win, a blowout loss and a 4-4 draw. If it can find consistency, it could be in for a strong season. Florida Gulf Coast Dutch Lions FC started strong but struggled from midseason onward, going winless in its last six games. Florida Tropics SC rebranded from Pinellas County United SC during the offseason. Puerto Rico Pride FC, which will play in the Orlando suburb of Kissimmee, joins these seven clubs as an expansion side. The Southeast Conference features five clubs — four in Tennessee and one in Georgia. The clubs will play an eight-match schedule. Nashville Rhythm made a strong debut last season including a 7-0 blowout victory against Little Rock. Two of its players from last season have since signed professional contracts in Europe. Memphis Lobos had a significant sophomore slump, winning only three matches last year compared to six in 2016. Emerald Force rebranded from Knoxville Force during the offseason. Following a strong 2015 season, it has had two seasons mid-table with a total of four wins. Chattanooga FC struggled in 2017 with only one win and five points. However, three of its defeats were by a single goal. Peachtree City MOBA, from Peachtree City, Georgia just outside of Atlanta, is an expansion club joining conference. The Gulf Conference is new for 2018 featuring two clubs moving from the Southeast Conference and three expansion clubs. Pensacola FC rebranded from Gulf Coast Texans for 2018. It was the club to beat in the Southeast Conference last year with nine wins and only one loss. Alabama FC had a massive turnaround following a winless 2016 season, winning four matches and finishing second in the Southeast. Joining them are three new clubs, all affiliated with clubs in the men’s Gulf Coast Premier League; Rangers Ladies FC from Daphne, Alabama, Baton Rouge United from Baton Rouge, Louisiana, and Mississippi Blues Soccer Club from Clinton, Mississippi.